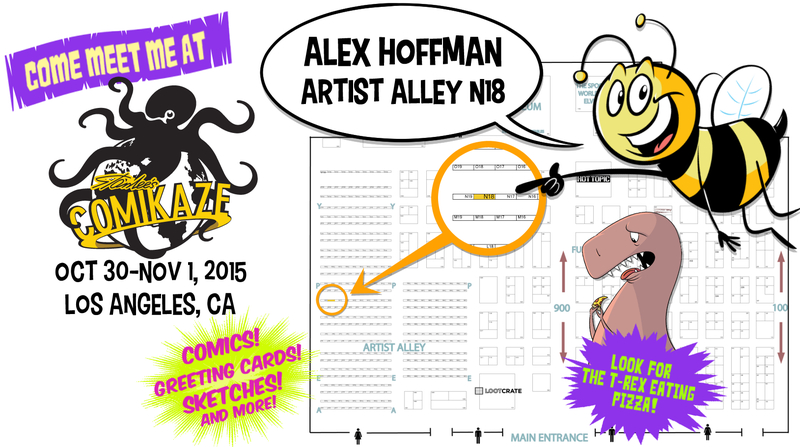 I”ll be exhibiting at Stan Lee’s Comikaze Expo this weekend Oct 30 – Nov 1, 2015. If you’re in SoCal and sick of trick or treating, come by the LA Convention Center and say hi! I’ll be selling Tales of Absurdity prints, pun-derful greeting cards, buttons and live sketches of any U.S. President (even the ugly ones). I went to Comikaze last year and had a blast and randomly bumped into a bunch of coworkers. I’ll be at table N18 in Artists Alley, across from my good friend Binx who’s at O18. Check her stuff out! Hope to see you there!